This Quick Start Guide describes how to install and configure all of the software you need, including the StarSQL ODBC driver and StarAdmin, to perform incremental replication operations using SQDR and SQDR Plus for DB2 UDB. The SQDR Plus software can be installed using either a text-based or a GUI-based installer. The instructions in this document use the text-based version, which is recommended for users who do not require a user interface. Users who would prefer to use a GUI-based installer should refer to the SQDR Plus for UDB User's Guide for installation instructions. This document is intended for first-time users of SQDR and SQDR Plus for DB2 UDB. Users who are upgrading an existing installation should refer to the SQDR Release Notes or SQDR Plus for UDB Release Notes and the SQDR Plus for UDB User's Guide for upgrade instructions. DB2 Administrator is someone with administrative authority on the DB2 system. DB21085I Instance "db297adm" uses "64" bits and DB2 code release "SQL09071"
Informational tokens are "DB2 v9.7.0.1", "s091114", "IP23027", and Fix Pack"1". Product is installed at "/opt/IBM/db2/V9.7"
While logged in as root user, run db2profile (sh/ksh/bash) or db2cshrc (csh) as shown below. Enter the command db2. If the db2 command fails, edit the PATH environment variable to include the directory in which DB2 is installed. Use the command setenv or export, depending on your UNIX/Linux version, to set the PATH environment variable for the session or set the PATH in the user profile. In addition, you may want to create a second non-privileged user, such as "sqdrusr", that can be used by the SQDR client software to connect to DB2. This user needs only the authority to connect to the database and issue SELECT statements against the tables to be replicated by SQDR. The database must be configured to use archive logging for SQDR Plus to access the log files it needs to ensure incremental replication operations are properly applied. Follow the instructions below to enable archive logging for the database. Note: Modifying the logging method may put the database in a "BACKUP PENDING" state. 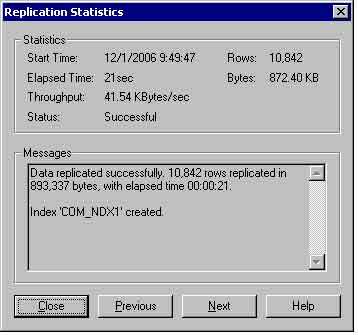 Perform a backup of the database before continuing with the installation. Start the command line processor by running the db2 command. Connect to the database (e.g., connect to <database>). Display the database configuration using the get db cfg command. Review the First log archive method (LOGARCHMETH1) property value. If this value is set to OFF, archive logging is not enabled. Or, set this to the desired value as instructed by the IBM DB2 documentation. Stop and restart the DB2 instance. From the DB2 Control Center select the database, right-click, and select the Configure Database Logging option. Change the type of logging to Archive. Determine the value of the DBM parameter KEEPFENCED. db2 get dbm cfg | grep "KEEPFENCED"
Restart the DB2 instance after changing this value. Ensure that the DB2 UDB computer where you will install SQDR Plus has a Java Virtual Machine (JVM) v1.4 or later installed and specified in the system PATH. Type java -version at the command line to display the active Java version. If you are installing SQDR Plus on Solaris or HP-UX, issue the following command to verify that you have a 64-bit mode of Java available before you begin the installation. If the Java version is not returned, or is earlier than v1.4, download the JVM software from the IBM developerWorks Web site or, if you are running Solaris or HP-UX, from the Sun Microsystems or Hewlett-Packard Web site, respectively. If you have more than one version of Java installed, verify that DB2 UDB is configured to use the correct version of the Java Development Kit (JDK). This information is primarily of interest to DB2 UDB 8.2 users; note that DB2 UDB 9.1 and later are bundled with an JRE, and DB2 is configured to use that JRE. If you need to set the JDK_PATH value to the correct location of the JDK or JVM, enter the following on the DB2 command window, replacing the path as necessary with the location where Java is installed on your computer. If the server computer supports both 32-bit and 64-bit instances (AIX, HP-UX, or Solaris) use the JDK_64_PATH configuration parameter instead of the JDK_PATH parameter. The JDK_64_PATH parameter specifies the directory under which the 64-bit version of the JDK is installed. If you change the JDK_PATH parameter, enter the following commands in a DB2 command window to stop and restart the DB2 instance so the change takes effect. To run Java stored procedures on an HP-UX computer with a 64-bit database instance you need to use the db2hpjv tool to enable Java routine support, which is disabled by default. Enter the following commands on the command line to enable support for Java stored procedures. The HP-UX run-time linker must be able to access Java shared libraries, and the DB2 system must be able to load the shared libraries and the JVM. The loading program runs with setuid privileges and therefore looks for the dependent libraries only in /usr/lib/pa20_64. Perform the following step to specify the location of the Java shared libraries in the configuration file. Log in as root user and add the /opt/java1.4/jre/lib/PA_RISC2.0W and /opt/java1.4/jre/lib/PA_RISC2.0W/hotspot directories to the /etc/dld.sl.conf file. This information is primarily of interest to DB2 UDB 8.2 users; note that DB2 UDB 9.1 and later are bundled with an JRE, and DB2 is configured to use that JRE. To run Java stored procedures, the Linux run-time linker must be able to access certain Java shared libraries, and DB2 must be able to load both these libraries and the Java Virtual Machine (JVM). After you ensure that the JDK and JVM are available, you can add the name of the directory that stores the Java shared libraries to the /etc/ld.so.conf file. Add the Java shared libraries to /etc/ld.so.conf, and execute the ldconfig command as root user to activate the changes, such as shown below for 32- and 64-bit instances. Restart DB2 for the changes to take effect. If you are using the GUI installer, and plan to allow SQDR Plus to manage the log files, the installing user (typically root) must be defined in a group that has authorization to run the DB2 UPDATE CFG statement. This requires the authorization of SYSADM, SYSCTRL, or SYSMAINT group. Enter the following command in a DB2 command window to determine the database manager configuration value for the SYSADM_GROUP, SYSCTRL_GROUP, or SYSMAINT_GROUP. Edit the etc/group to add the root user to a group specified in SYSADM_GROUP (a group named DB2GRP1 typically is created during installation) or to a group in SYSCTRL or SYSMAINT. Enter the following commands to restart the DB2 instance so the changes take effect. Request to download SQDR Plus for DB2 UDB. DB2 Administrator: Download StarAdmin using the download link from step 2 and install the software on the SQDR Platform. Using StarAdmin, bind packages to the database. This requires knowledge of the database host and sufficient user privilege. 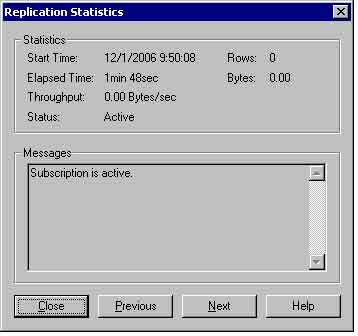 Provide database connectivity information to the Client-Platform Administrator to be used in step 6c. DB2 Administrator: Download SQDR Plus using the download link from step 2, complete the pre-installation tasks, and install the software. DB2 Administrator: Verify SQDR Plus installation and test Support functions using CAMAINT. Run the SQDR configuration, connecting to the local SQL Server using the DSN created in step 7. All software packages are distributed as compressed files that you download from the StarQuest Ventures Web site. From a web browser enter the address http://www.starquest.com/ and click on Download for Trial under the Products menu. Request to download SQDR Plus for DB2 UDB. After submitting a request to download SQDR Plus for DB2 UDB, you will receive an e-mail containing a Registration Key and download links for the SQDR Plus, StarAdmin, StarSQL, and SQDR software. The registration key will be used in step 7b to obtain temporary license keys valid for 15 days and the download links will be used in steps 3-9 below. The user who installs StarAdmin must be an administrator on the Windows platform (that will eventually run SQDR). Download StarAdmin to a temporary directory using the download link from step 2 and install the software using the instructions below. Host The network Host Name or IP address of the DB2 server. At the command line, execute ifconfig -a or netstat -in (HP-UX) to determine the IP address of the system. The port number on which DB2 listens for connection requests, as determined by: a) running the DB2 get dbm cfg command and locating the TCP/IP Service name (SVCENAME), and b) reviewing the /etc/services file to find the port number associated with this Service name. The default port for DB2 is 50000. Copy the connection information at the top of the Summary text to the clipboard, as this information will be used in step 6c. Before you begin, complete the following pre-installation tasks to ensure that the DB2 UDB system meets the minimum requirements. You cannot successfully complete the installation until these requirements have been fulfilled. Log on to the DB2 UDB host computer as the root user. Be sure that you have sourced the DB2 profile of the DB2 instance owner by running db2profile (sh/ksh/bash) or db2cshrc (csh) as previously described in DB2 UDB host computer requirements. Determine the current database manager instance by running the command db2 get instance at the UNIX/Linux command line. If this database instance is satisfactory, go to Step 3. If you need to change the default instance, view the available instances using the db2ilist command, and set the DB2INSTANCE environment variable by executing db2profile (sh/ksh/bash) or db2cshrc (csh) in the sqllib directory of the instance owner of the desired instance, as previously described in DB2 UDB host computer requirements. Have available the DB2 connectivity information, as collected previously in step 3. 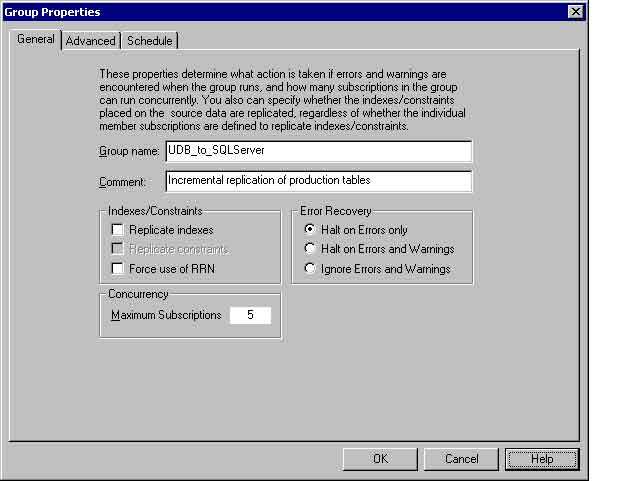 Make a note of the optional email notification values for your environment if you want to specify these values in the installation configuration script. You may leave these fields blank and configure the email notification feature at a later time, if desired. Follow the instructions below to configure the setup script and invoke the text-based installer that will install SQDR Plus on the UNIX/Linux computer. Be sure to have available the credentials for the user (e.g., sqdradm) created in the DB2 UDB host computer requirements section. On the computer where you downloaded the SQDR Plus software, extract the contents of the .zip file to a temporary directory. Copy all of the extracted directories and files to the UNIX/Linux computer on which you want to run the installation. Log on to the UNIX/Linux computer as a user with root authority. Change to the "Text-based_Installer" directory within the set of copied installation files. Copy setup.conf.template to setup.conf (i.e., cp setup.conf.template setup.conf). Open setup.conf in a text editor, modify as instructed below, and save the file. Provide the DB2 connectivity information for your system in the DB2 Information section. The following example configures the installation script to connect to a database named DB2PROD running on a computer with local IP address of 127.0.0.1 and listening on port 50002. The installer will prompt for the password for the DB2USER (sqdradm, in this example) at install time. If the DB2 logging method is configured to use a user exit program (i.e., LOGARCHMETH1=USEREXIT) and you would like to install the SQDR Plus exit program, set the values of both managedLogs and deleteLogsWithoutSave to "true" (i.e, managedLogs=true, deleteLogsWithoutSave=true). Otherwise, comment out the managedLogs line by preceding it with the "#" character (i.e., #managedLogs=true). For evaluation purposes, the default values for the remainder of the parameters should be acceptable. Execute the setup script (i.e., .run ./setup) to begin the installation. This appears to be a new install, installing to /opt/StarQuest/sqdrplus. and verify the value of INSTALLDIR in setup.conf. Use the SQDR Plus Capture Agent Maintenance Utility (CAMAINT) to verify that the Capture Agent is running and to test the support functions. From a Linux/UNIX command line, change to the /var/sqdrplus/<database_name>/bin directory. Enter the following command to run the Capture Agent Maintenance utility. Enter a valid DB2 user ID and password. The default user ID is the DB2 User specified during the installation of SQDR Plus. In the Capture Agent Management Main Menu, choose Option 3, “Display current status” and verify that the Capture Agent component has a status of Running. In order to verify that the DB2 server can send SQDR Plus support logs to StarQuest Customer Support, select Option 9, "Support" to enter the Support menu. Select Option 1, "Send SQDRPlus Support Logs", which will collect and ftp support files directly to StarQuest. If the DB2 server is not able to reach external ftp sites, use Option 5 to create and store the support files on an alternative computer. Send these files to StarQuest Customer Support if requested to do so. Press Enter twice to return to the main menu and enter 50 to exit. For best results with SQDR, StarQuest recommends using the StarSQL ODBC driver for access to DB2. However, SQDR does support the use of the IBM DB2 Connect driver. If you plan to use the IBM DB2 Connect driver with SQDR, skip this step and proceed with step 6c below. The StarSQL software is distributed as a compressed file that you download from the StarQuest Ventures Web site. An ODBC data source name (DSN) defines the information that a driver needs to access a specific instance of data in a DBMS. You must define an ODBC DSN for each host DBMS that you want to replicate to and from. If you plan to use DB2 Connect as the ODBC driver, refer to the appropriate IBM documentation for instructions on how to configure a DB2 Connect DSN. If you need to replicate LOB data, in the DB2 Connect data source configuration add the LONGDATACOMPAT parameter from the Advanced Settings tab of the CLI/ODBC Settings and set this value to “As LONGVAR data”. Set the Maximum LOB column size value if desired, or accept the default value. Proceed to the next section to create the destination database ODBC DSN. Launch the ODBC Administrator from the StarSQL or StarSQL (32-bit) program group: Start—>Programs—>StarSQL/StarSQL(32-bit)—>ODBC Administrator. In the first dialog of the StarSQL Data Source Wizard, enter a name for the data source and, optionally, a description. Click Next to step through the Wizard panes, specifying the database connectivity parameter values obtained by the DB2 Administrator in step 3 . Define the ODBC DSN for the SQL Server database that the Data Replicator Service will use as a control database. This should be a different DSN than one that will be used to access the destination database (created in the previous step). At the end of the installation, the installer prompts you to start the ODBC Administrator and/or the SQDR Configuration. You do not need to launch the ODBC Administrator, as ODBC DSNs were created in steps 6c and 7 above. Select the option to launch the Configuration after the installation completes and proceed to the next step. In the first pane of the Configuration Wizard, select the SQL Server data source that you configured (in step 7) to access SQDR's control database and enter the SQL Server credentials for a user who is a member of the sysadmin server role. In the License Configuration dialog, verify that you have the three license keys entered (with PROD IDs "SQ", "DR", and "U+) and click OK. See step 6b if you have not entered license keys for using the evaluation software. Enter a name for the subscription and click Finish. The SQDR Plus for DB2 Universal Database User's Guide manual is available as a PDF file in the SQDR Plus installation image. It provides more detail about configuring and managing the SQDR Plus Capture Agent.